I just returned from a much-needed trip to the beach with my dear hubby. We were down on the Gulf Coast, and it was just beautiful. Not too hot, just enough sun, a tiki bar with endless pina coladas… but I digress. While we were on vacay, we kept talking about the beach houses we drove by: brightly colored pink, green, and blue buildings catapulted on top of stilts with wide-front steps spilling onto the shoreline. We wondered which were rentals and which people actually lived in, and it became kind of a game to guess the story about each house we passed. Eventually we somehow got on the topic of timeshares. In particular: what a scam they were. Timeshares have taken so much heat over the last few years that pretty much everyone knows to steer clear. But do we really know why they’re so bad in the first place? Okay, hold up. My scam radar was already going wild as I tried to keep a straight face while typing out that last paragraph. First, if we’re talking about a timeshare as a real estate venture, well… the concept flies in the face of what real estate inherently is. When you buy straight-up real estate, you are purchasing the full, irrevocable rights to a piece of land and everything on it. You can’t buy time, but you can buy space. So part of a space for a time just doesn’t make sense. Now we’re going to segue into a convo about physics and I’m just going to get all irate and confused, so let’s move on. When I was researching for this post, I found forum after forum full of riled-up timeshare owners who were belligerently angry for being seduced by vacations and resorts and swindled by smooth-talking sales reps.
Wow. So now there’s a scam capitalizing upon these poor timeshare owners who are trying to unchain themselves from the first scam. I’ll admit that I’m presenting a grossly one-sized view here, but the research I did began in a pretty unbiased place. The data itself told the horror story of timeshare ownership. 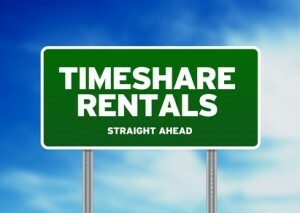 Buyer beware: if you’re thinking about buying a timeshare, please do yourself a solid and don’t. Anyone out there fallen for the timeshare trap? Have any opposing viewpoints to present? I’m all ears! Help! I need someone to buy my house fast!